Amateur radio operators have a "field day"
Willow Creek played host to amateur radio operators during “Field Day” this weekend. 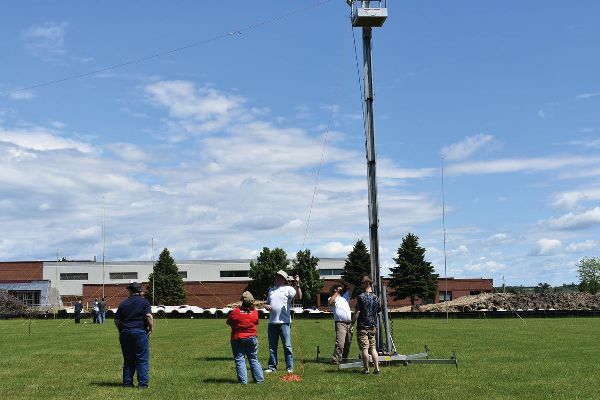 Since 1933, ham radio operators across North America have established temporary radio stations in public during Field Day to showcase the science and skill of amateur radio. 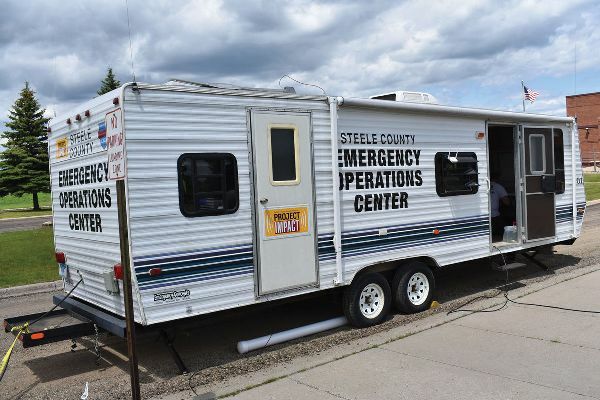 The event, which officially began at 1 p.m. Saturday and ran the next 24 hours, has been at numerous locations throughout Steele County over the years, but — as has been the case the past few years — was again held outside Willow Creek this year. Dale Carlson and other amateur radio operators had to rig up an antenna during Field Day Saturday outside Willow Creek. During field day, hams set up radios in unusual places as an exercise in emergency preparedness, but it’s also a competition, as well as a chance for fellowship with others sharing a similar predilection for amateur radio, said Dale Carlson, who has been a ham since 1975, when he was 14. “I’ve lost track of how many times I’ve done Field Day, but it’s a lot of fun, and every year is a little different,” said Carlson. Though “it usually slows down late at night, you can talk to people around the world,” he said. In fact, he once communicated from northern Minnesota with individuals in Antarctica during a Field Day while he was in college, the farthest place he’s ever reached. As a general rule, higher frequencies are more useful during the day, but they fade at night, he said. Then, the lower frequencies, which are virtually useless during the day, take center stage at night and can stretch across the globe. “We’re always trying to improve and make things more efficient, in case we would have an emergency,” he said. Indeed, Field Day is a chance to experiment. For example, Carlson was attempting to use a new antenna Saturday, he said. “At home, I don’t have a lot of space to put up big antennas, so this is fun for me to play around a little bit,” said Carlson. Though Field Day is about competition, camaraderie, and experimentation, it's also an emergency preparedness exercise.